Defensiveness is one of the most destructive characteristics we can have. It’s a very common trait, and was invented by people that were truly being attacked, usually as a child, when they couldn’t defend themselves. They decided that as soon as they could, they wouldn’t let others attack them. They would defend themselves. As they say in sports, the best defense is a good offense. So we became great at attacking others, as our defense. We justify our attack as a preventative strike, just like the military. So we began to anticipate patterns in people to know if and when we had to strike. Also like the military we sometimes used “shock and awe.” That would literally be shocking and awful to others. We told ourselves they deserved it for what they did in the past or for what we “knew” they were about to do to us now. In the military they have a term called measured response. That means that they retaliate with a reasonable amount of retribution, usually slightly more that what they got, so as to send a message that you better not do that again, or you will get worse that you gave. With defensiveness there usually is not a “measured response.” There is usually a disproportional response, and sometimes even when they actually weren’t attacked. I am still a little defensive, but I have learned to offer a measured response. This is something that is a process. 1. Have you often felt attacked by others? 2. Were you criticized a lot as a child? 3. Do people say you are argumentative? 4. Do you find that there are a number of defensive people around you? 5. Do you often feel don’t understand why you responded the way you did? 6. Do others feel like they have to be on guard around you? 7. Do you get into lots of arguments? 8. Have you lost relationships because they could take it anymore? 10. Do you have very few friends or close family members? If you answered yes to more than 3 of these questions, chances are you are a little defensive. If you answered yes to more than 5 of these, you are defensive. If you answered yes to more than 7 of these questions, you are very defensive. If you answered yes to all of these, I will hand you over my title as the most defensive person! If you answered no to all of these, but you know one of more of these kind of people, you are either in denial, or you like abuse. I have to say that there is no judgment about this. There is no right or wrong about being defensive. In fact it was conceived to protect the person that was being criticized or abused. The problem arises when a disproportionate response is given to criticism or feedback. Self-confidence is an Attitude . . .
which is created based on memories, feelings, and emotions that are present at the unconscious level of mind. 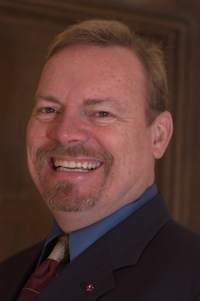 Hypnosis and NLP are powerful tools for communicating with and manipulating thoughts and ideas that are unconscious. 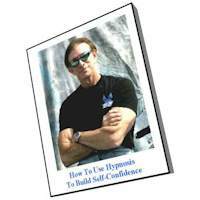 How To Use Hypnosis To Build Self-Confidence, FREE MP3! This entry was posted in Self-Improvement. Bookmark the permalink.